Ex-LIRR Alco S-1 #407 Clifton. 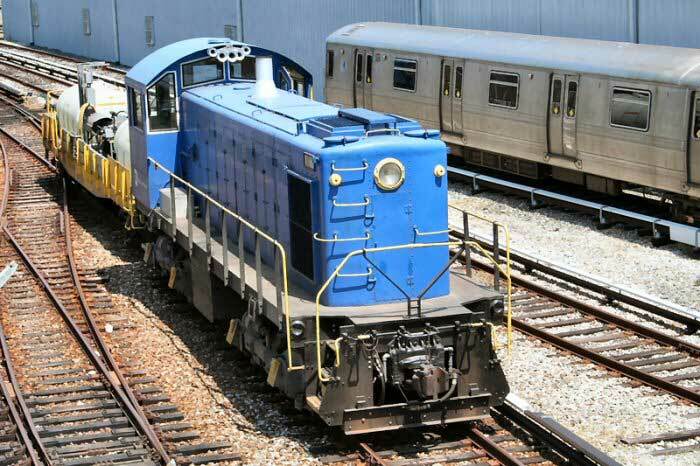 As of mid-August, the new BL20G replacement diesels for the Alco S-1s had still not been formally accepted, although there had been considerable progress in solving the problems. As the Board decided not to pick a new date until the new diesels have been accepted, and in view of the desire not to schedule the trip during colder weather, we will reschedule the trip for sometime in the spring of 2010, assuming acceptance of the new diesels. You will be contacted individually if you previously signed up; others should watch for an announcement in the monthly mailing.